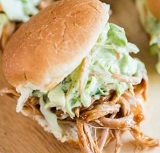 DR PEPPER BARBACOA PULLED PORK SANDWICHES TASTE GREAT WITH TOMATILLO RANCH COLESLAW. Good friends, food, fun—it doesn’t get any better! Well, except if I find an awesome recipe to make. It’s got to be yummy and it can’t take forever. 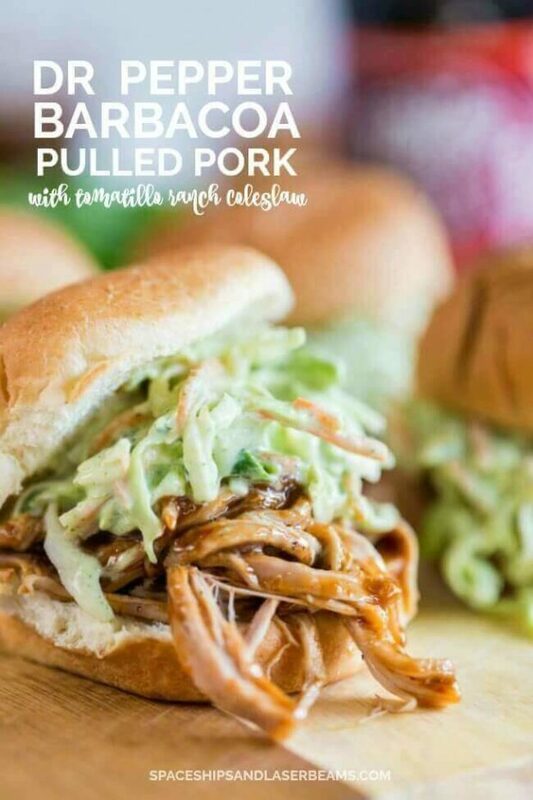 Dr Pepper Pulled Pork with Tomatillo Ranch Coleslaw is mouth-watering delicious and it’s always a hit at our tailgate parties. Thanks to Dr Pepper for making it possible and thanks for sponsoring this post! True confession: Even before I became mom to three boys, I loved game days. My dad coached football and basketball so I think sports are in my blood. Not only do I enjoy watching my favorite teams, unlike Dad, I also love love love all the hoopla that goes along with it! Dad considers marching bands and cheerleaders a distraction from the main event, but I think people watching is almost as much fun as the game. I always look forward to the season-long tailgate parties, too. Home games mean we meet at the stadium and tailgate there but most away games find us parked in front of the television. We rotate hostess duties. After doing a couple of the games everyone kind of falls into a routine of who brings what. Some of the gang likes to do a little theme decorating but we keep it simple so game day doesn’t become such a big event that it’s a chore. We generally set the food up so we can work in assembly line fashion and everyone has time to eat before the game starts. But when we’re armchair fans we tend to nosh all day! Most of the families have kids and they usually entertain each other but I ALWAYS take coloring books and a few toys, too. Parents take turns focusing on the kids so no one person ends up feeling the brunt of responsibility. Older sibs also help. Now don’t get freaked out because of the ingredient list for this recipe. This is not a complicated sandwich to make. 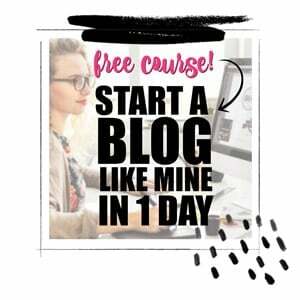 Using a slow cooker and a blender makes this an easy recipe to pull off. And instead of dicing cabbage just pick up a bag of coleslaw mix and you shave off more prep time. The mix of spices and Dr Pepper only take moments and they give the flavor a satisfying kick. 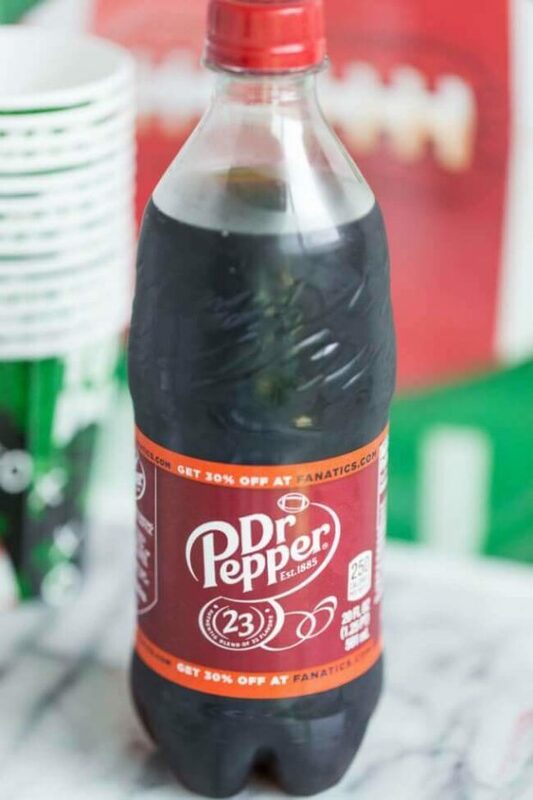 Ever noticed the “23” on the Dr Pepper can? That blend of 23 flavors does something amazing for drinking and cooking. 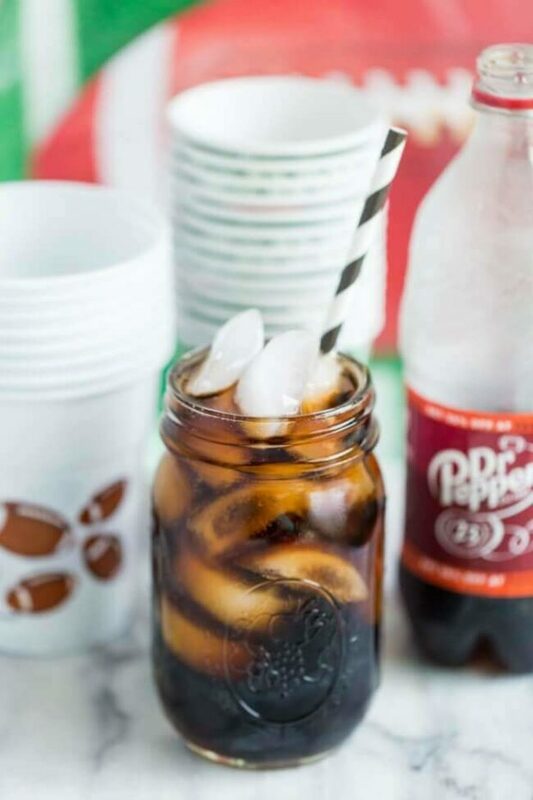 Be sure to visit Tailgating with Dr. Pepper for more ideas. You can get everything you need at Stop and Shop and that saves precious time, too. Dr Pepper is in the Soft Drink Aisle (of course!). Be sure to pick up enough to quench those thirsty friends and then head over to the baking aisle if you need to pick up the spices. Buzz through the meat and dairy departments, pause by the condiments and produce, don’t forget fresh sandwich buns. Pick up plates and napkins in the paper aisle and you’re outta there and ready for game time! Friends, food, and fun are a great combo anytime, but tailgating season is a super excuse for getting together. 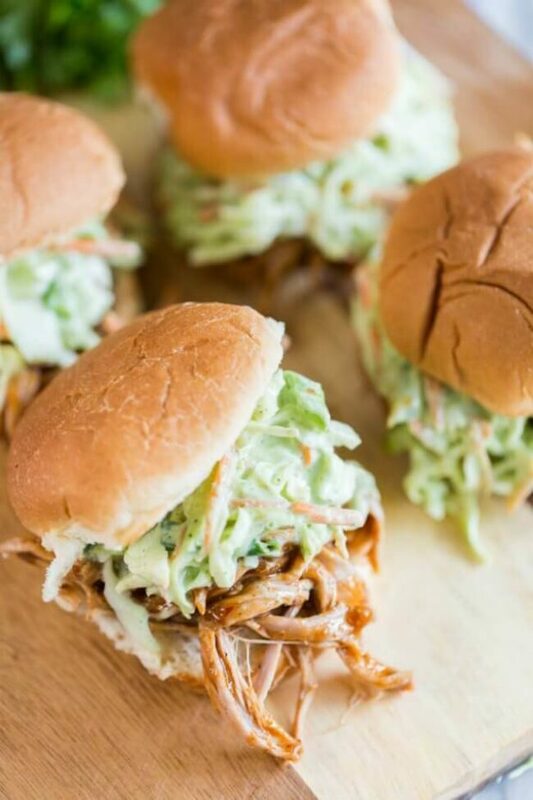 Serve these yummy pulled pork sandwiches and give everyone something else to cheer about! You’ll want to try this delicious pork loin recipe as well. In a slow cooker, place pork tenderloins and drizzle with olive oil. Add seasonings and rub all over pork. Pour half cup of water into base of slow cooker; cook on low 5-5 ½ hours. While pork is cooking, prep sauce and coleslaw. 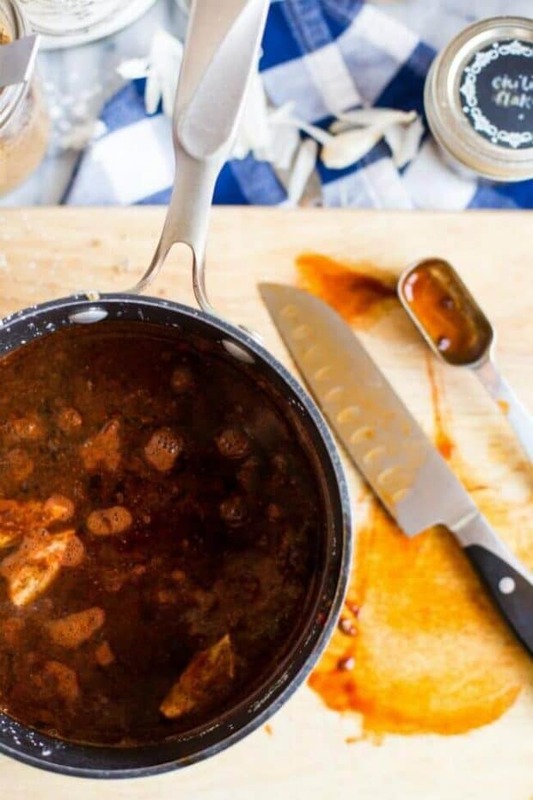 When pork is done, remove from slow cooker and drain juices. 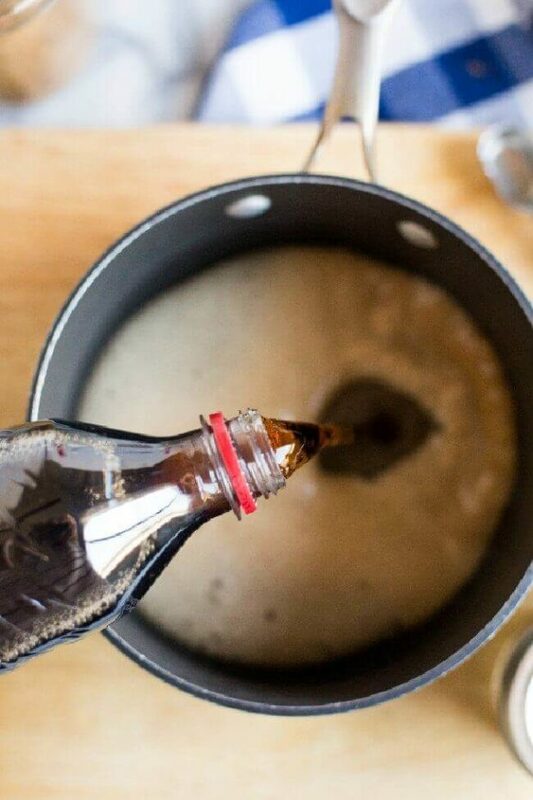 Pour all sauce ingredients in a pan. Heat over medium heat until sauce starts to simmer and thickens. Simmer 3-5 minutes. Remove from heat. 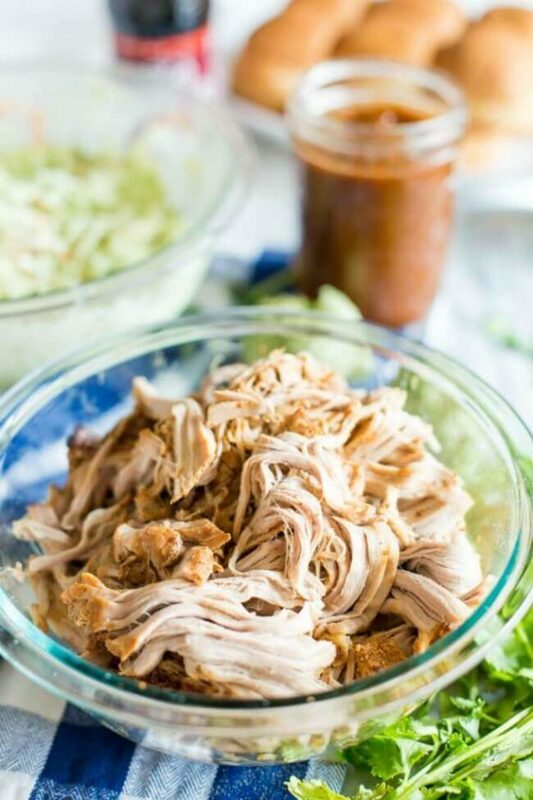 When pork is finished and you’ve drained the slow cooker, add shredded pork and one cup of sauce back into the slow cooker; keep warm until time to serve. Reserve remaining sauce for serving. 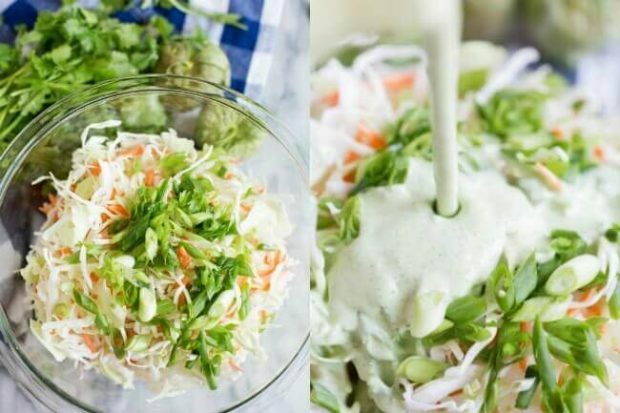 For coleslaw: Mix mayonnaise, sour cream, milk, ranch mix, apple cider vinegar, tomatillo, jalapeno and cilantro in a blender. Blend until smooth. Pour coleslaw mix in a large bowl and pour dressing over the top. Toss together. Cover; place in refrigerator/cooler until ready to serve. 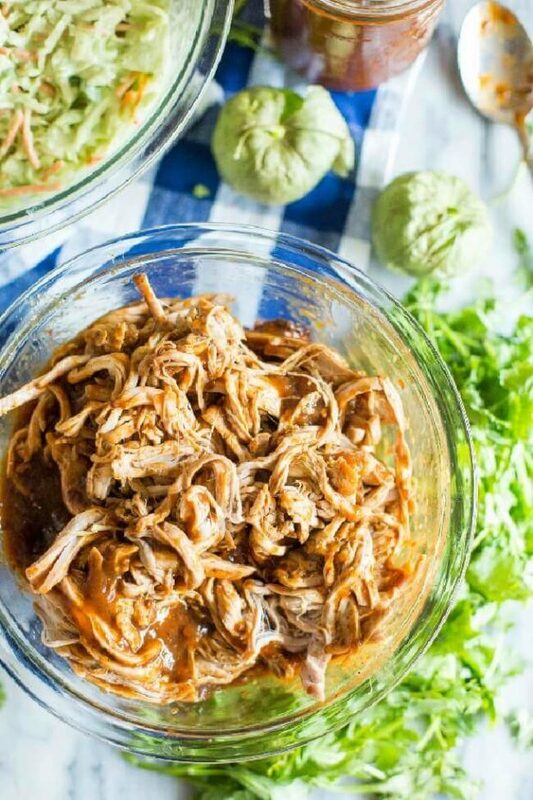 One of my new favorite pulled pork recipes! This is perfect to eat with my friends! So delicious! Excellent pulled pork and the slaw is out of this world. A perfect combination.